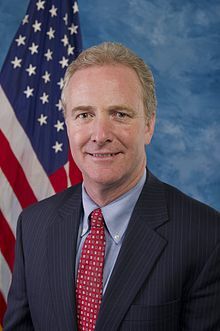 Chris Van Hollen is a Democratic member of the United States House of Representatives, representing the 8th district of Maryland. The Council for a Livable World, founded in 1962 by long-time socialist activist and alleged Soviet agent, Leo Szilard, is a non-profit advocacy organization that seeks to "reduce the danger of nuclear weapons and increase national security", primarily through supporting progressive, congressional candidates who support their policies. 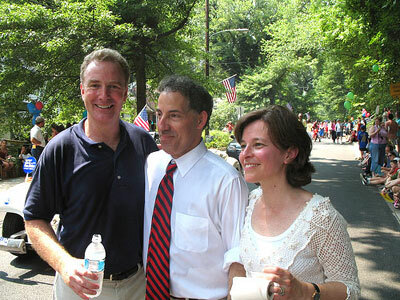 The Council supported Chris Van Hollen in his successful House of Representatives run as candidate for Maryland. Van Hollen received $1000 in lobbying funds from Planned Parenthood in 2008. In 2003 Del. Chris Van Hollen served on the Progressive Majority Advisory Committee. In May 2013, Chris Van Hollen was listed as an associate member the of the Congressional Asian Pacific American Caucus. Congressman Van Hollen's office on November 15, 2011- "bringing our message that Social Security did not cause the deficit." The Alliance for Retired Americans Political Action Fund endorsed Chris Van Hollen in 2014, also 2012. Peace Action Montgomery County, MD, helped to initiate the MD Coalition: Fund Our Communities, Bring the War Dollars Home which sponsored a town hall meeting September 20, 2011, in Silver Spring to “Take back the Budget Debate.” The gathering will map out a plan for action including pressing Representative Chris Van Hollen, a member of the Super Committee. Signatories included Rep. Chris Van Hollen..
"This is an example of corporate greed," said Rep. Chris Van Hollen, D.-Md, at a rally in Upper Marlboro, October 2015 in support of some 900 Safeway supermarket employees who have been notified they will lose their jobs a few days before Christmas. The employees are warehouse workers and truck drivers employed at the chain's distribution center located here in Upper Marlboro, the county seat of Prince George's county, a majority African American jurisdiction..
Rep. Donna Edwards, D.-Md., echoed the remarks of Van Hollen , as did former Maryland Lt. Governor Anthony Brown, several state delegates and senators and several members of the Prince George's County council, including the chairperson. State Delegate Jimmy Tarlau said, "This is a perfect example of the redistribution of wealth - from workers to the corporate class." Along with officers of the Teamsters locals, also attending the rally were representatives of the Operating Engineers, the Service Employees International Union and Local 400 of the United Food and Commercial Workers. "Here in Maryland, labor is united," said Richie Brooks," president of Teamsters Local 730. In 2015 Rep. Chris Van Hollen hired a veteran operative with experience in Maryland to manage his bid for Senate, his campaign said Thursday. John Fritze of the Sun reports that Van Hollen, a Montgomery County Democrat, has hired Sheila O’Connell to run his campaign. O’Connell worked as the Maryland state director for President Barack Obama’s 2008 campaign and as strategic adviser to the 2012 marriage equality effort. Senate candidate Chris Van Hollen received money from the Iranian American Political Action Committee during the 2016 election cycle. Former Rep. Chris Van Hollen (D-Md.) (October 2016). This page was last modified on 7 July 2018, at 21:36.